Personal Note: after inspecting this bag, i truly believe it is not a -28C sleeping bag, more of a -10C. Would be a great 3 season bag for car camping in the mountains. I discounted the price even more to reflect the lower rating. 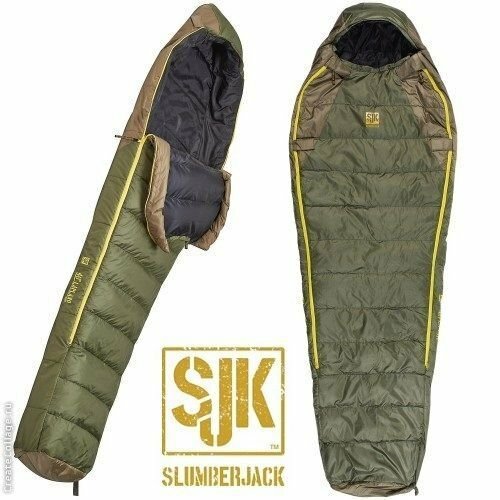 With dual draft collars and hybrid zone insulation, Slumberjack's -20°F (-28C) Lapland sleeping bag keeps you warm on extra cold nights. Insulated with a combination of quick-drying DriDown and compression-resistant synthetic insulation, it has dual zippers for venting options and an "arms out" feature that lets you free your arms to perform tasks without leaving your bag.